A singer devoted to storytelling. 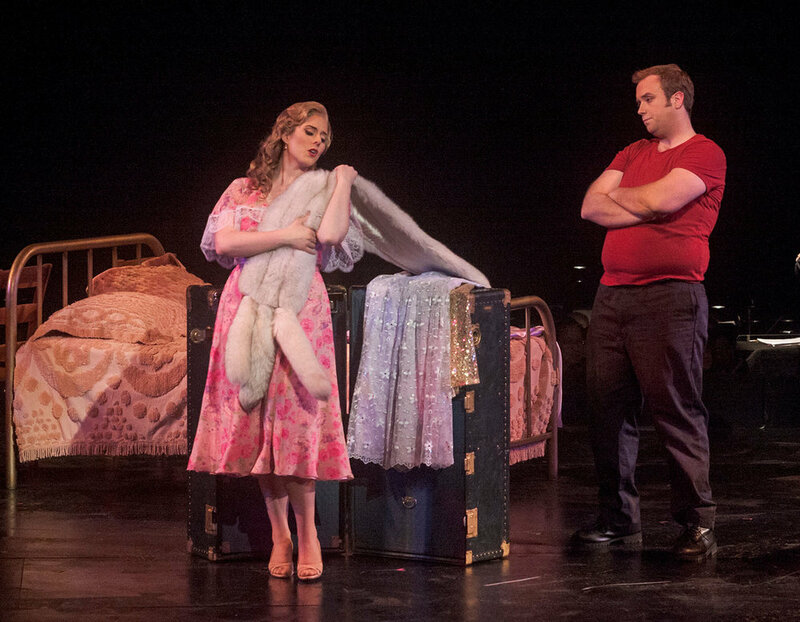 Recent highlights include Blanche DuBois in Brad Dalton’s stunning production of A Streetcar Named Desire, Verdi's Messa di Requiem, and Richard Strauss’ Four Last Songs with collaborative pianist Kathleen Kelly. Ms. Strahl also recently collaborated with pianist Daniel Pesca (Zohn Collective), cellist Paul Dwyer (Lyric Opera), and violinist Clara Lyon (Spektral Quartet) for Shostakovich’s Romances on Poems by Alexander Blok. Ms. Strahl has been lauded as a singer with a commanding vocal presence, yet she is also capable of great subtlety and delicacy. She received great acclaim for her portrayal in Mozart’s Cosi fan Tutte, described as ‘an impressive and sincere Fiordiligi, with fearless, accurate vocalism.’ As a Young Artist at the Komische Oper Berlin, she brought over twenty roles to the stage, including Micaela and Frasquita in Carmen, Ännchen in Calixto Bieto’s Der Freischütz, and the roles of Fortuna, Damigella, and Drusilla in Monteverdi's Poppea, part of Barrie Kosky’s groundbreaking Monteverdi Trilogy. Ms. Strahl is also an active art song and concert singer. She and pianist Nicholas Mathew explored the works of Fanny Mendelssohn and Clara Schumann, in conjunction with The Mendelssohn Project at the Magnes Collection of Jewish Art and Life. This program was then re-imagined with pianist Kathleen Kelly, including excerpts of Schumann and Mendelssohn’s letters. Ms. Strahl’s robust recitals have also included Robert Schumann's Frauenliebe und Leben, Felix Mendelssohn's Opus 63 duets for soprano and mezzo-soprano, Barber's Hermit Songs, Manuel de Falla's Siete Canciones Populares Espanolas, and Canteloube's Songs of the Auvergne. Other concert credits include Beethoven’s Symphony No. 9 (Pacific Symphony), as well as both Mozart’s Messa di Requiem and Dvorak’s Stabat Mater (Berkeley Community Chorus and Orchestra). This season, Ms. Strahl performs Mahler’s Symphony No. 2 with the Milliken-Decatur Symphony Orchestra. She will also join pianist Kathleen Kelly and baritone Michael Kelly to present selections from NewMusicShelf’s Anthology of New Music. Other future plans include Benjamin Britten’s War Requiem and an exploration of Lieder from the Second Viennese School. Ariana Strahl was born in Munich, Germany and raised in Fort Worth, Texas. After many homes in Vienna, Berlin, Berkeley, and Ann Arbor, she is now based in Chicago.